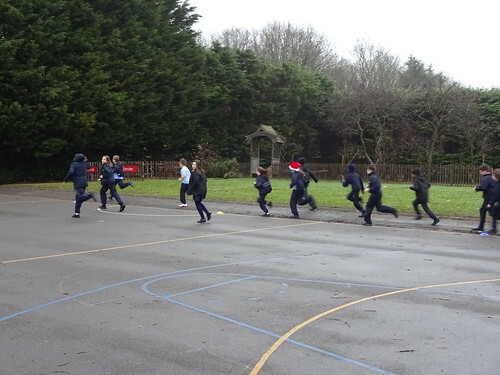 On Tuesday 19th December 2017, our Sports Leaders organised a “Cross Concrete” race around the Key stage 2 playgrounds (the grass was too wet so we couldn’t call it Cross Country!) 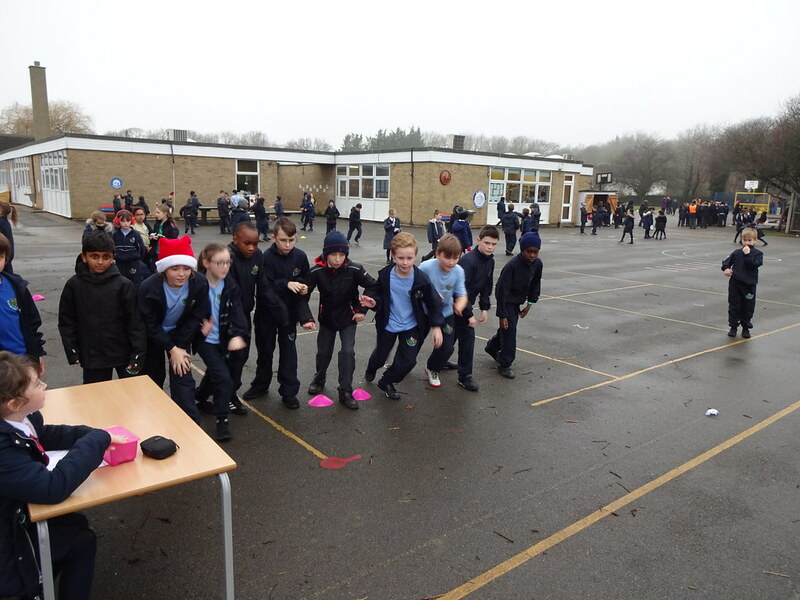 Many children took part in the lunchtime event, which was advertised and promoted by the Sports Leaders. Children made small donations to take part in the race and a total of £16 was raised! 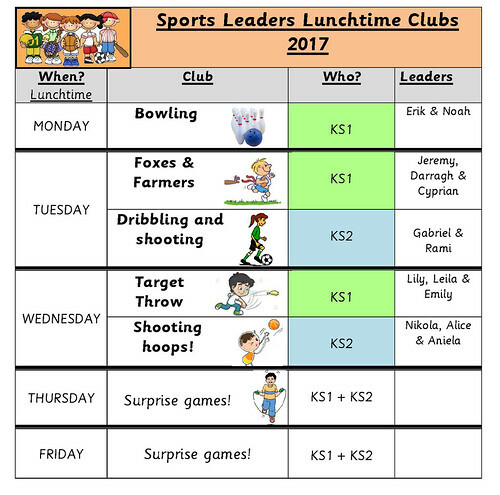 Sports Leaders decided to put the money towards new playground equipment for their lunchtime clubs so that all children could benefit. 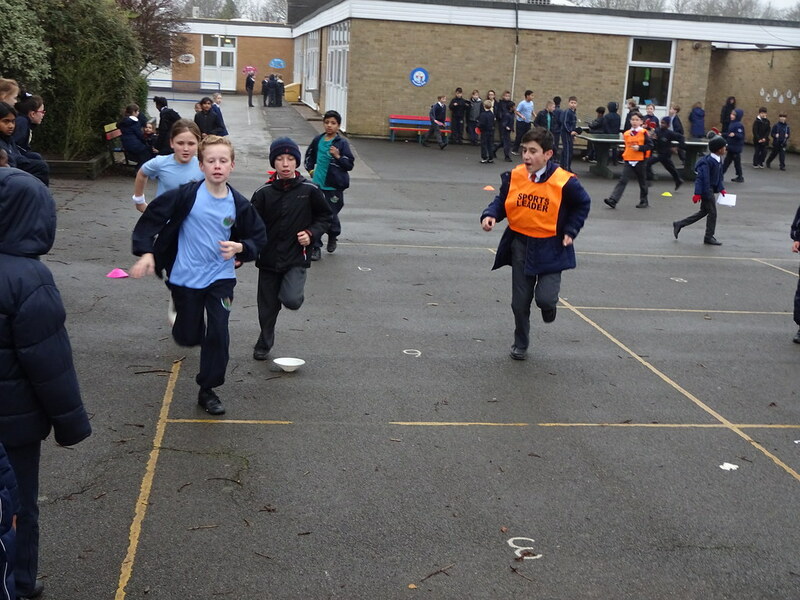 The Sports Leaders even went out and bought their own prizes which were awarded to 1st, 2nd and 3rd place runners. 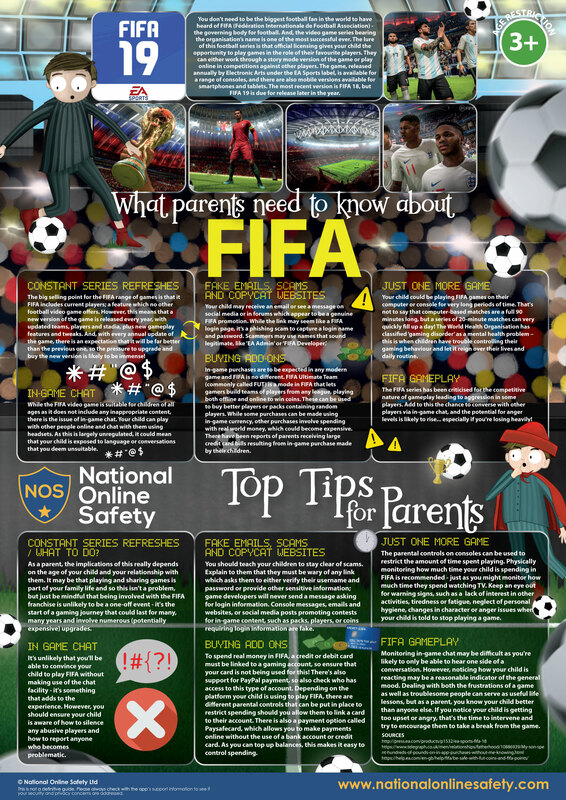 Well done to the Sports Leaders for demonstrating innovative ideas and great leadership skills. 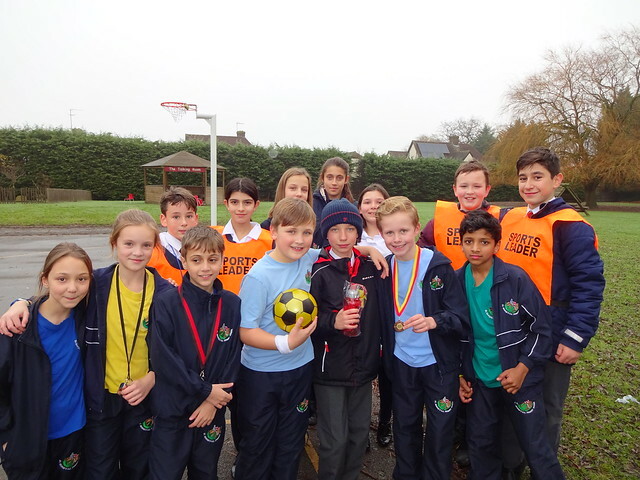 The Sports Leaders presented the winners with their prizes - a sports bottle, football and medal! 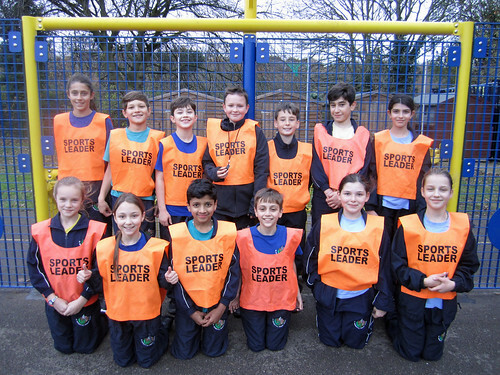 This year, thirteen Year 6 pupils were selected to be St George's Sports Leaders. 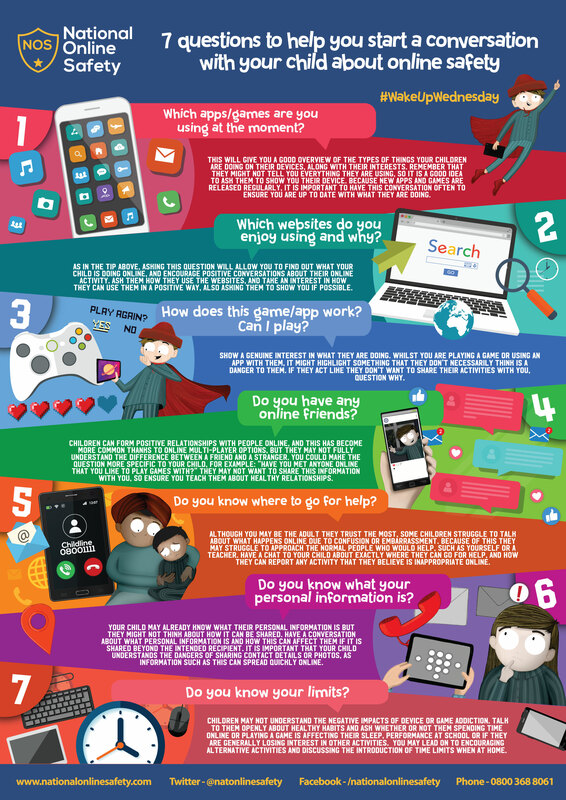 Leila, Darragh, Noah, Eric, Cyprian, Emily, Nikola, Gabriel, Aniela, Alice, Jeremy, Lily and Rami.